Dangal movie is top trending topic in India today and the movie is getting love and appreciation from the audiences. We was awaiting this movie for a long time and it is inspired by real-life wrestler Mahavir Singh Phogat’s life. I could also see one question trending on twitter will Dangal break "PK" and "Sultan" box office record. The film has got tremendous advance online tickets booking and on Friday there wear huge crowd in all multiplexes. On second day the movie has received good positive response and trade Analyst "Taran Adarsh" announced that morning shows opened to packed houses. The film has received total 75% occupancy during morning and afternoon shows which is terrific. It could be seen demonetisation effect has not affected the first day collection of this movie. Salman khan "Sultan" total first day collection was Rs 36.54 crore. Both movies based on wrestling but have very different stories. In fact, it is the difference in story – Sultan predominantly being a love story, while Dangal features a father-daughter relationship. Dangal first day collection final report is not yet released and i will soon update it on my blog. 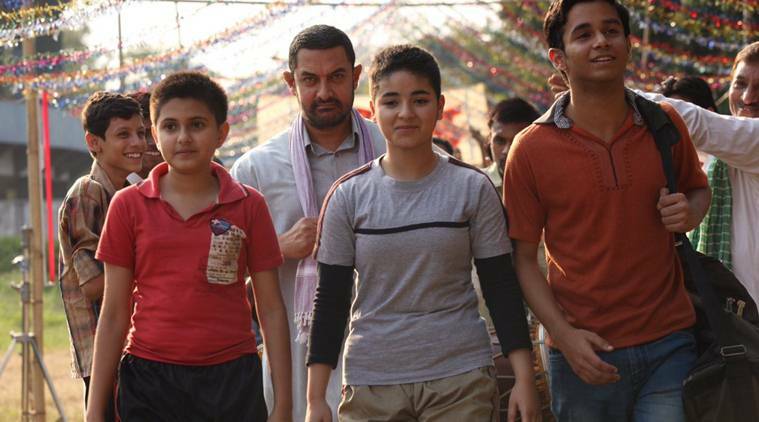 Dangal 2nd Day Box Office Collection is expected to be around 25 Crore. Aamir Khan’s films PK fetched total Rs 26.63 crore on day 1, Talaash collected Rs 13.50 Crore and 3 Idiots earned total Rs 12.78 crore on opening days. Dhoom 3 collected Rs 36.22 crore on the first day. His latest movie Dangal would rarely manage to touch 30-crores mark on the opening day. Watch 5 records of Salman Khan’s Sultan that Aamir Khan’s Dangal has to break! According to Taran Adarsh, the movie has already earned Rs 7.81 crore from US, Middle East and UK after a day of its release. Dangal movie is released on more than 4300 screens in the domestic market and on 1000 screens in the overseas box office. The film has got good positive response from North America, UAE-GCC, UK and Australia.This is all about Dangal 2nd Day Box Office Collection Business Report, soon i will update more report on its earning business.